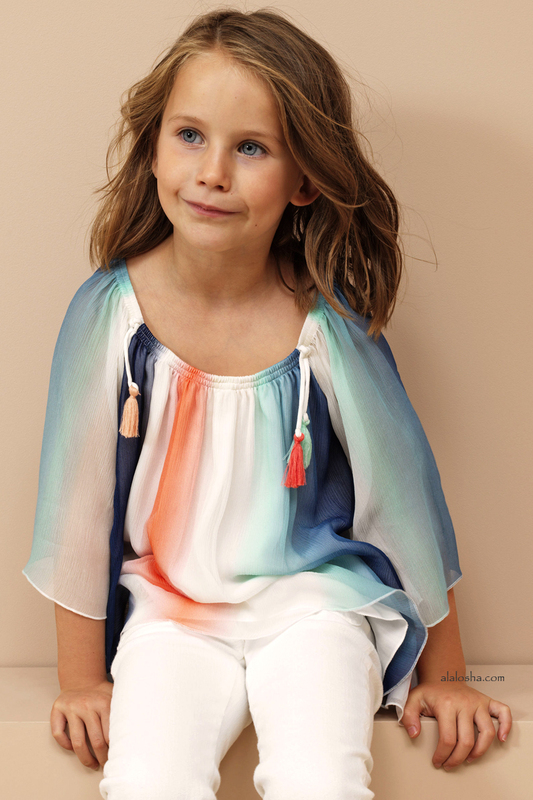 Embracing the spirited optimism of the Maison’s womenswear collection, the Spring-Summer 2017 collection offering for little Chloé girls marries a girlish innocence with a casual beachy attitude that sees breezy summer silhouettes cast in fresh white and sweet sorbet hues. A collection of pretty dresses, denim separates and chic jumpsuits is completed with studded slip-on sneakers, summer sandals and the elegant Lauren ballerinas. 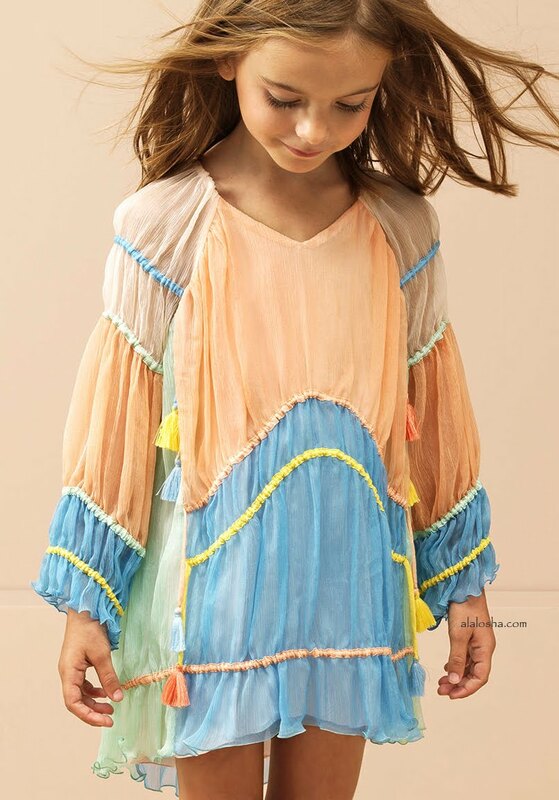 Girls striking crêpe textured silk organza dress by Chloé. It has colour blocks of blue, pink and ivory with blue, green and yellow trims. It has tassel details and fastens with a zip at the back. The hem hangs slightly longer at the back and it is lined with soft pink viscose. 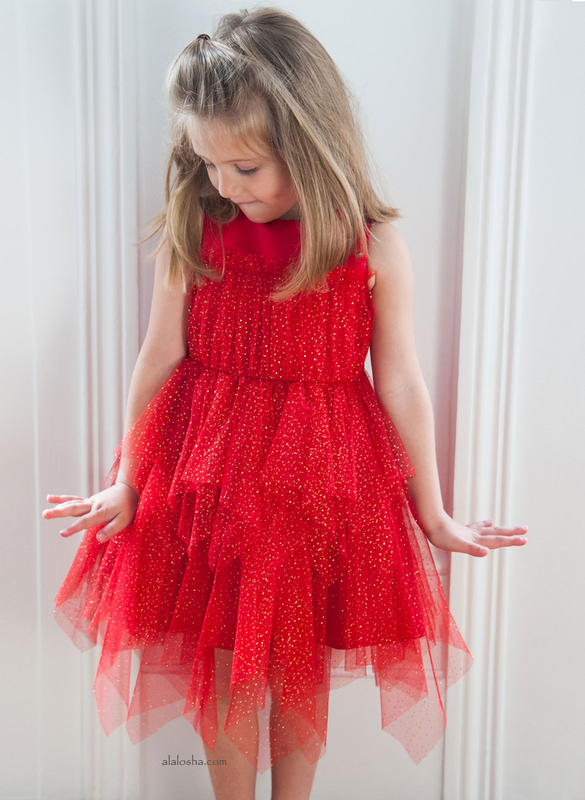 Girls adorable sleeveless dress by Chloé. Made in a floaty silk crêpe chiffon, with merged stripes of blue, green, orange and ivory. It has a soft viscose lining preventing the dress from being see-through, with a zip to fasten at the back. There are tassel details from the shoulders. Girls pale pink, soft and lightweight, viscose crêpe skirt by Chloé. 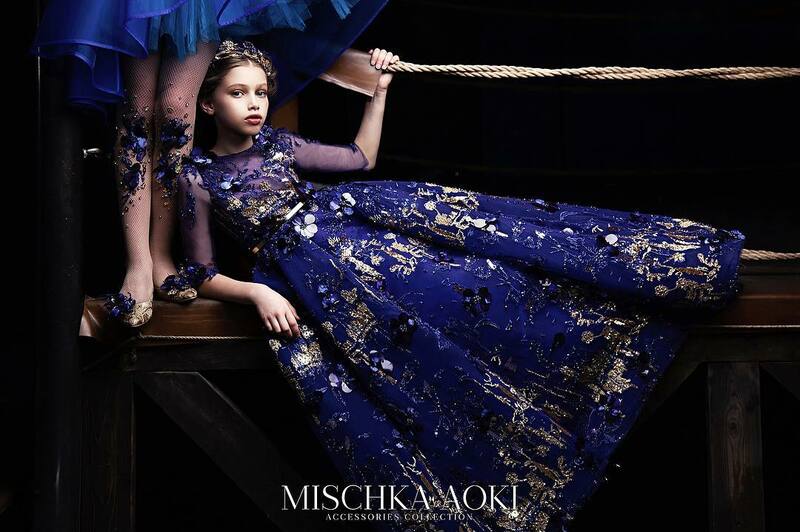 It has a soft viscose lining for added comfort and an elasticated waist with orange and blue tassel details. Girls white soft cotton and modal jersey top by Chloé. It has pretty striped chiffon sleeves in colourful oranges and yellows. There ia a button to fasten on the back and it has an embroidered logo on the hem. Girls soft cotton sweater, made in a chunky knit by Chloé. It has a mix of pink, blue, yellow and white within the yarn, giving an all-over multi-coloured look. It has a pouch pocket and logo tab.